Long time no chat! I'm sorry I've been absent lately if you follow me on IG you know that I've been hospitalized and dealing with some serious health related matters at the top of the year which have frankly sucked. I had not really been feeling well enough to blog but when I was offered the opportunity to swatch a Valentines Day related polish called The Vellvet Death by the the lovely of Chirality I thought it was a good opportunity to get back into the swing of things and also get back in touch with my love of polishing and nail art in general. Let's talk about this beautiful polish! The Velvet Death was inspired, as Amanda describes it, by a ravishing Skull shaped Red Velvet Cake. 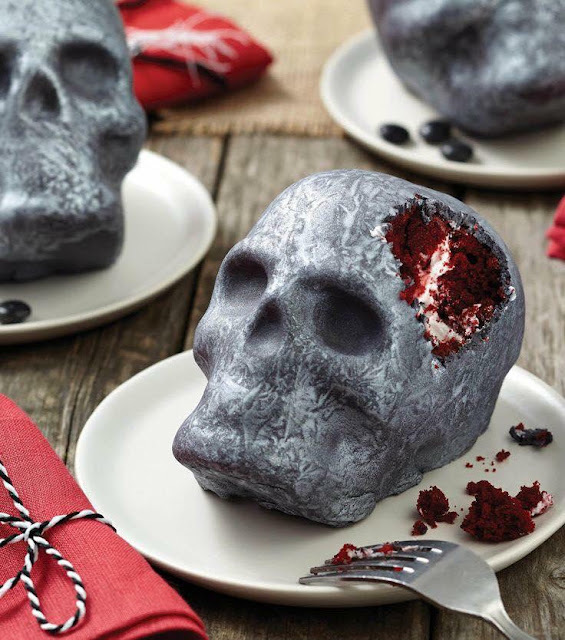 'The Velvet Death' has a sparkly silver-grey base with pinkish red shimmer and red microflakes. I'll show you that inspo below! Initially the polish applies on slightly streaky but corrects with a second coat. Here I used two thicker coats topped by a glossy topcoat but this can definitely be worn with three thinner coats per preference. This polish wasn't topcoat hungry at all which I was surprised by since it is jam packed with glitters and sparkle! Polish Pickup is actually a Facebook Group which can be found here. The premise of the group si the creation of a variety of polishes from indie makers based on a theme voted on by group participants monthly. This polish is available for purchase for a limited time from February 2nd-5th at Polish Pickup. You can find more details regarding other participants this month and products there. 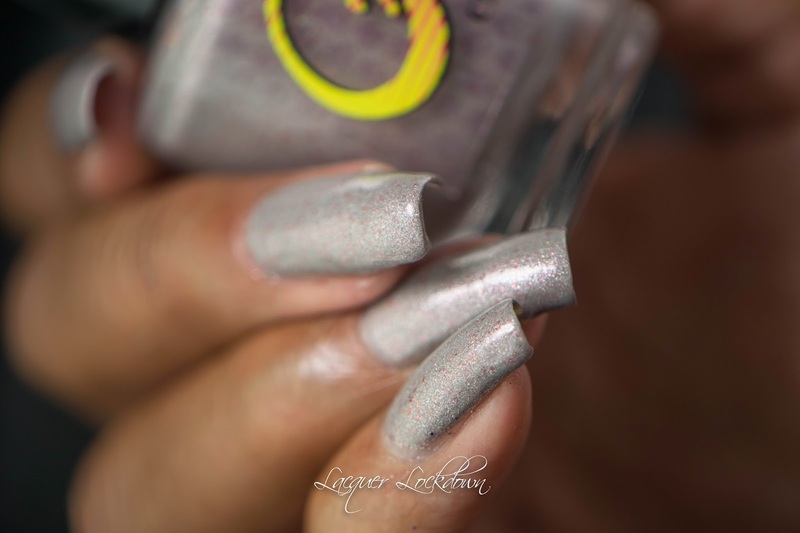 One of the cooler aspects of this polish is how it shifts depending on the angle of your hand so that from every direction you are getting subtle sparks of red and shimmer. This is definitely a perfect polish as well for someone that wants a little Valentines related pretty without all the excess of pink and red. Also I just have to say cause you know I will this is gonna make an awesome base for nail art - wink wink nudge nudge. Here's a macro of The Velvet Death. As you can see it's quite complex! The Velvet Death retails for $10 USD and once again can be from February 2nd-5th at Polish Pickup. You can find more info on the site as well as other themed polishes for the month. 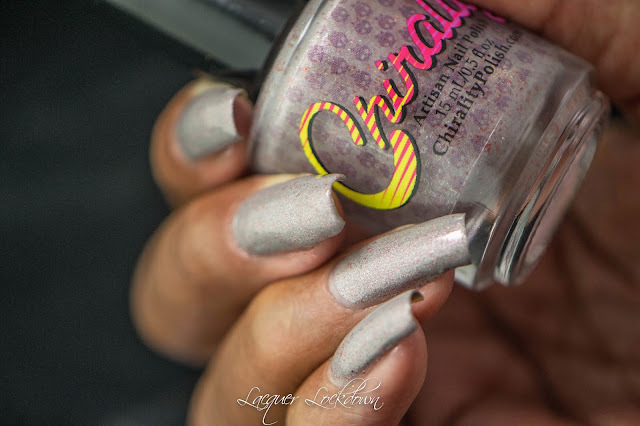 You can find more Chirality Polishes here on her Facebook and follow other releases via her Twitter and Instagram. Thanks so much for reading, welcome back, and I'll see you next post! This post contains items purchased sent for my honest review. For more information see my Disclosures Policy.